Everyone remembers Polaroid cameras vividly. I remember as a kid being amazed at this strange technology that produces a printed picture magically in front of your eyes. 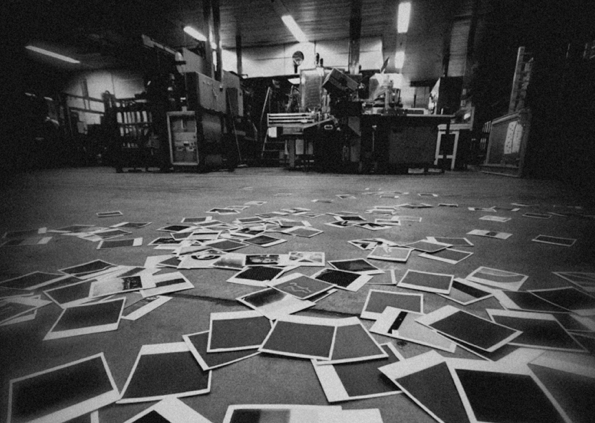 But, the advent of digital cameras completely tore the company apart, rather than the instant gratification of a printed photo, you now have the instant gratification of a digital screen. TIME ZERO: The Last Year of Polaroid Film premieres at the 2012 Independent Film Festival of Boston – a mere 3 miles from Polaroid’s former headquarters. The documentary chronicles the death, and rebirth, of Polaroid instant film. After documenting the day when Polaroid announced it would cease production of instant film, the film shares the stories of several photographers, including film maker John Waters as they recount hearing the news, and follows the efforts of a small team who tried to keep instant photography alive. The film, directed by Grant Hamilton, looks incredibly nostalgic, and extremely fascinating. The film screens at IFFBoston at the Somerville Theater, Saturday, April 28th, 2012 at 12:30pm. Tickets are available at iffboston.org.